That's correct, this car was not built from a kit with instructions or anything official from Lego. This one represents a builder's creativity, talent, and dedication to bringing a car to life in scale. To put it bluntly, it's really well done. 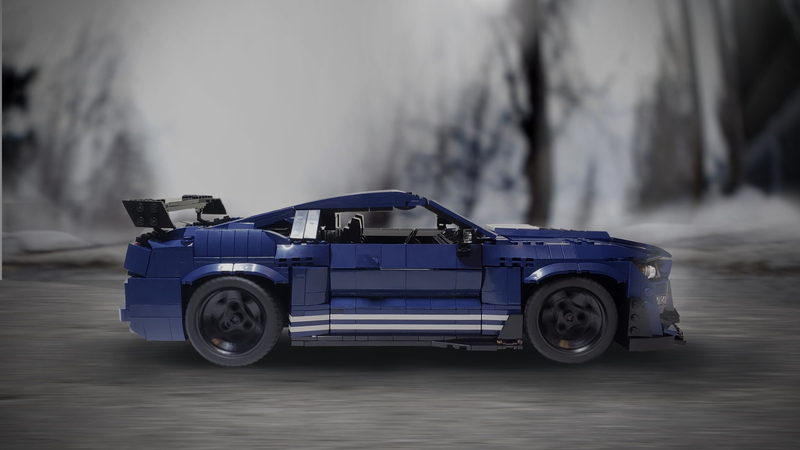 The build is part of Lego's "Celebrate Your Favorite Mustang in a Beautiful Scenery" contest, which coincides with the release of the official 1967 Ford Mustang Fastback Lego kit. 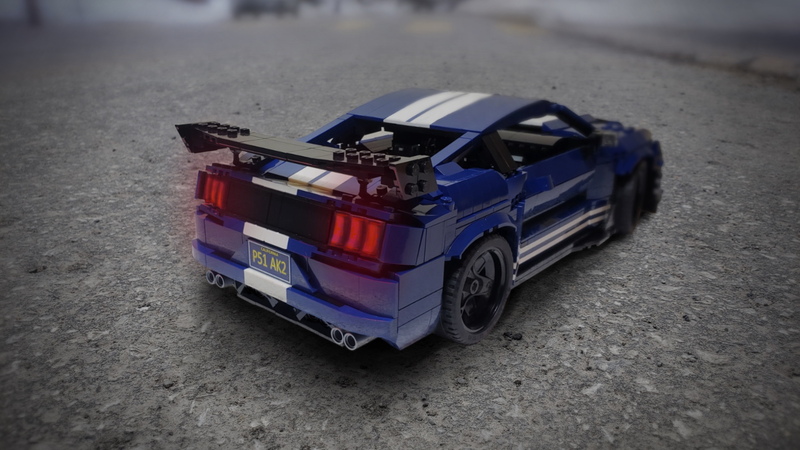 Out of the submissions we've seen so far, this GT500 is by far the best. We're especially impressed by the front end. With Legos, it's difficult to re-create angles and certain other aspects of car design, but the builder said he used some of the latest Lego building blocks to create the angled look. He added that most of the time he spent was working to perfect the front end to make it look like a real GT500. We say the months-long effort paid off particularly well. The rear is just as well done with easily recognizable three-slot taillights and a big rear wing just like the production car. White stripes also add authenticity to the build. 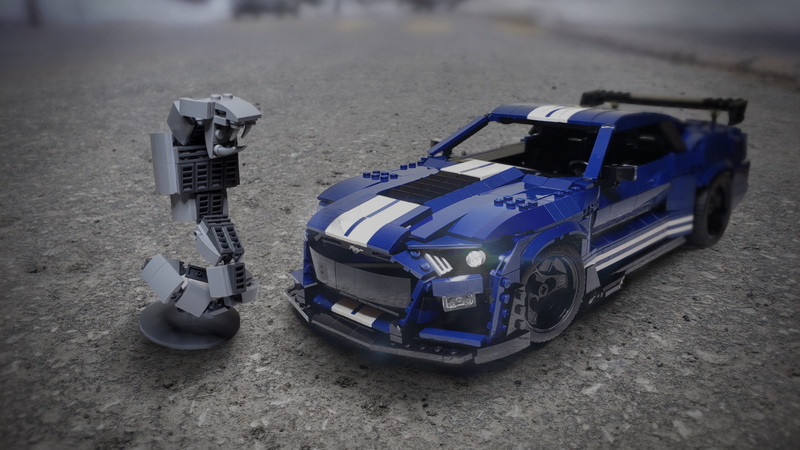 To accompany the car (and apparently serve as the beautiful scenery), the builder created a Lego version of the Shelby snake, which can be seen in the photo above. It's a great touch, but not exactly a winding Lego road. The builder says he's going do even more work on the project, but he needed to finish it to this level to submit for the contest, which ends on Wednesday. Apparently, the build is somewhat flimsy as it stands. 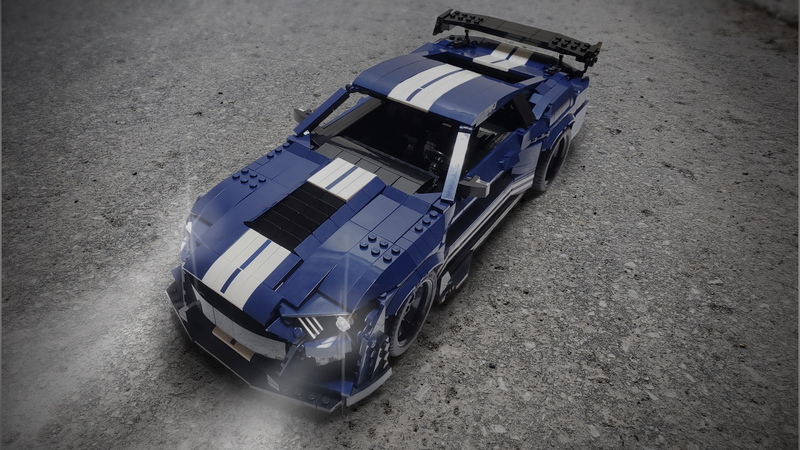 The winner of the contest will get two Ford Mustang Lego kits and a $500 shopping spree on shop.Lego.com. We hope you win, sir, because this is impressive work.